"This is your chance, big guy! 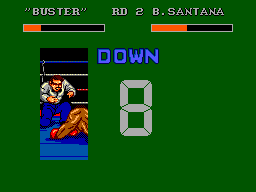 James "Buster" Douglas Knockout Boxing throws you into the ring with the meanest power-punces around. 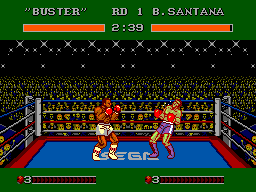 Pound your way to the title in a game designed with input from James "Buster" Douglas, the boxer who beat Mike Tyson. Slug and jab with devastating accuracy. Daze your opponent with a flurry of straight shots and hooks, then send him to the canvas with some vicious uppercuts. Be one of five boxers, including "Buster" Douglas. Each fighter has his own style and characteristics, making every fight a whole new challenge. Once you win the title, you better be prepared to defend it. Each fighter will come back madder and meaner! 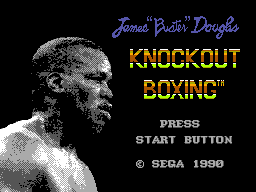 If you're looking for a real boxing challenge, James "Buster" Douglas is looking for you!"